When you have a clear idea of a product or two to sell online, start by visiting Shopify.com (Link). In the beginning, I advise you NOT to go big right away. It’s better to test, learn from mistakes, scale up and repeat. 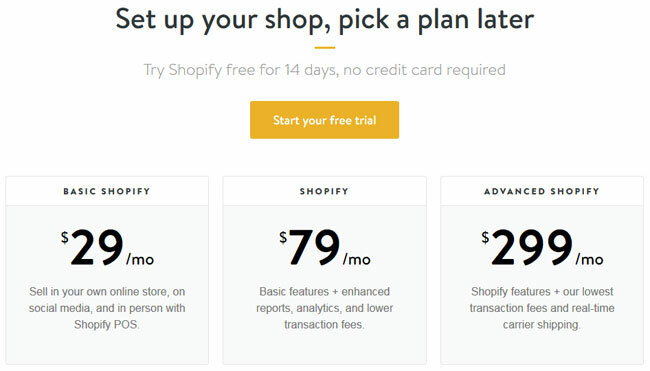 Basically, Shopify has 3 main plans, plus a Lite (very basic, called sometimes Facebook Shopify) plan that costs $9 per month. The cheaper the plan, the less products it allows up to sell and less features it offers. You shouldn’t worry about which plan to choose in the beginning, because upgrading your plan can be done via a click of a button. Need a tip? If this is your first time to launch an online store? Go with the Basic plan (which allows 2 staff accounts + owner’s account). If not, go with Shopify. 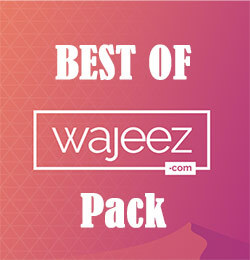 Else, do like this guide here and give the free 14-day trial a go. 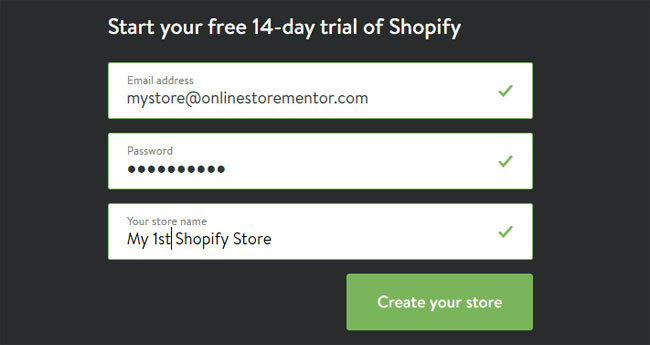 Since there’s a 14-day free trial offer, I’ll be using that for the purposes of this guide, clicking the green Get started top icon will pop up this small form, enter your info and click the green ‘Create your store‘ button. Afterwards, Shopify will start creating your store and then you will be asked to enter your name, address, phone number, are you already selling, and how much revenue do you make. Enter everything and click the green Enter my store. Shopify gears set to work! Your hand is practically held throughout the process of start your Shopify store. Day after day, Shopify keep on tweaking their dashboard to make it simple and easy to understand and manage. 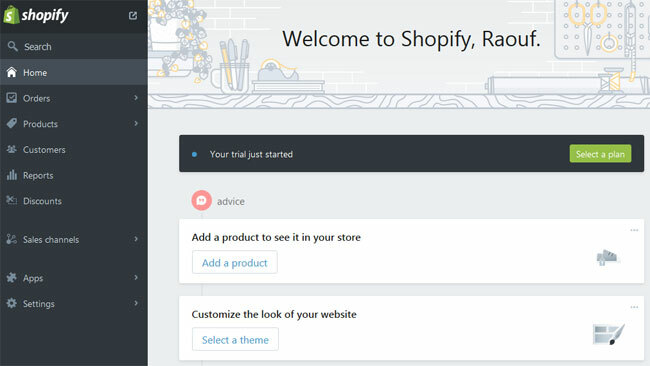 Let’s check out the first thing Shopify recommends us to do, add your first product to your Shopify store. You can click on the “Products” tab on the left bar,or follow the advice shown on the screenshot above, to add a product. Doing so will bring up an empty form with no products details on it. So let’s take a look at adding a product. 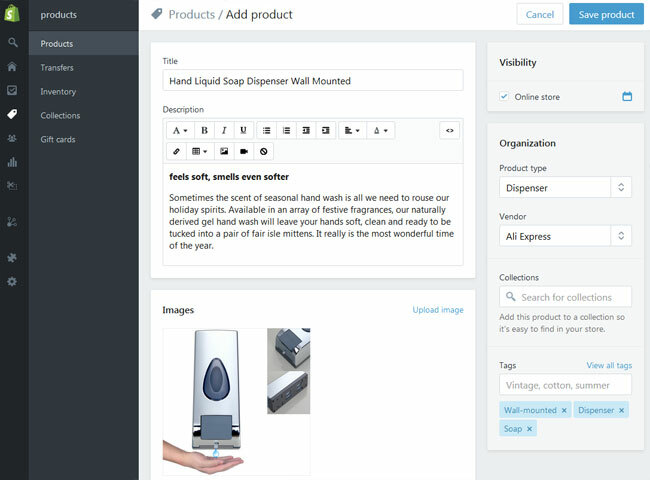 You’re asked to describe your product and give it a Title, write a Description, upload photos, as well as the type of product, vendor, tags (i.e. words related to your product so search engines can index it) , and if your product has a Barcode or SKU you’ll be able to input that. Tip: As tedious as it gets, entering unique and interesting product description, along with various high quality photos of your products is very crucial, and can mean which store will get the purchase order from the searching prospect. Now press the button labeled: Save product. And it’s that easy to create a product! My shop is practically ready to go, but there’s a few more details to iron out. Nowadays, you have tons of high-quality free Shopify themes to choose from. Try not to waste too much time picking the theme you like. Remember, users, and not you, will be using your Shopify store, and so always base your choice on this important fact. 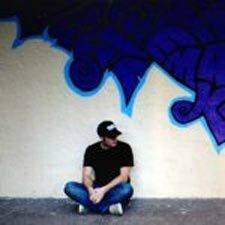 Enough professional Shopify Themes are available for free. Eli from ShopCoraLife.com uses the free Brooklyn theme (the green arrow) and it’s very good and looks very professional and does the trick very nicely. 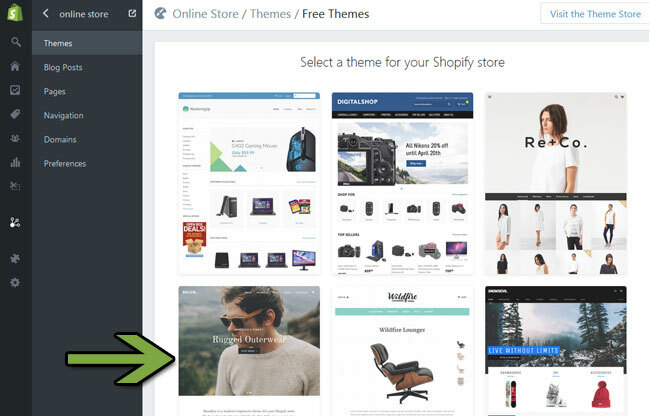 I recommend going with this theme till you start making enough income to hire a developer and develop / customize your unique Shopify theme. Shopify provides you with their own sub-domain, but if you bought your own domain, you can set it up now. I’m however going to stick with the free .myshopify.com domain. Back in the good old days, accepting a credit card online was a nightmare for any starting e-Commerce website, with so many forms to fill and bank-related requirements. Thankfully, Shopify packs a lot of payment options to choose from. Still, don’t get overwhelmed and accept everything or you’ll take forever trying to process everything. Click on Settings / Payments to bring a list of possible ways to for your customers to pay for your products. You can never go wrong with PayPal which can also process credit cards. You can also choose to use an alternative credit card processor (but you need to register as a merchant before you enable it). In the beginning, stick to PayPal as it also accepts credit cards, and when the ball starts rolling, go ahead and register with a credit card gateway. You can also change the geo settings of your store (time zone, currency, etc.) from the Settings / General menu option. From the Settings / Checkout, you can decide whether your customers need to register with your website before they can checkout with their purchases, choose how you want to process the orders, and decide also on the Checkout language. Congratulations dear reader, you now own a Shopify store, or rather a 1-person business. 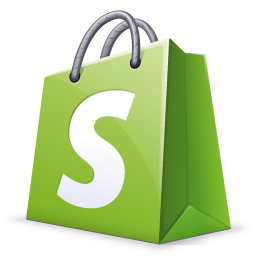 If you didn’t yet, you can instantly start your own online store by visiting Shopify.com. You may feel that running your own online store using WordPress is better than using Shopify, since many great stores are out there. One of the many problems of doing so is PayPal. See, recently PayPal changed their system and requirements. Now, you have a whole pile of technical requirements you have provide in your online store. Those include security certificates, the latest encryption protocols, and other complex technical challenges. Unless you are a world-class Linux genius, it’s better to concentrate on selling and out-source hosting to others. Shopify takes care of many things, freeing you to work on what’s really important: selling. 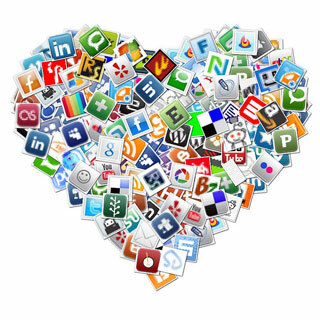 Top 7 Features of Social Friendly Online Stores. Local Search Listing For Your Online Store.